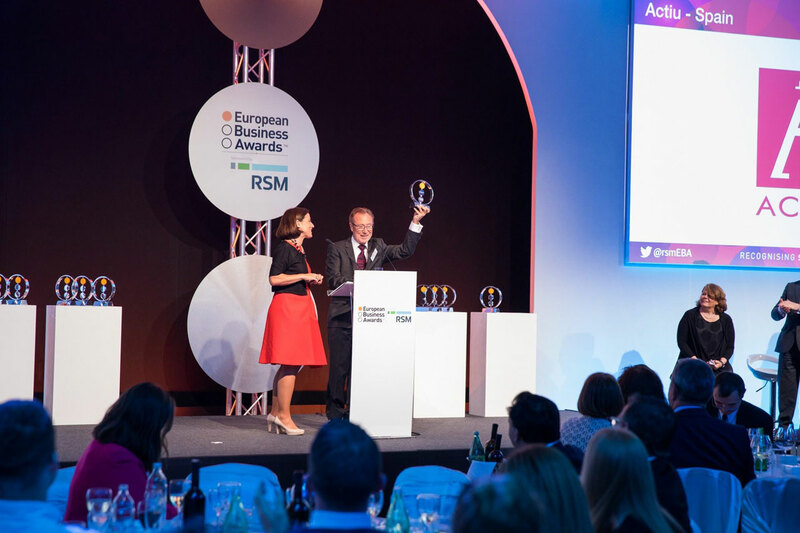 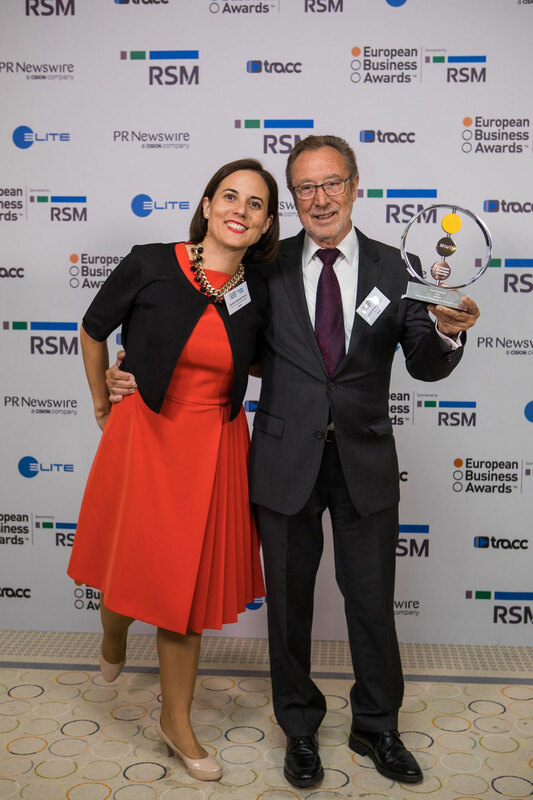 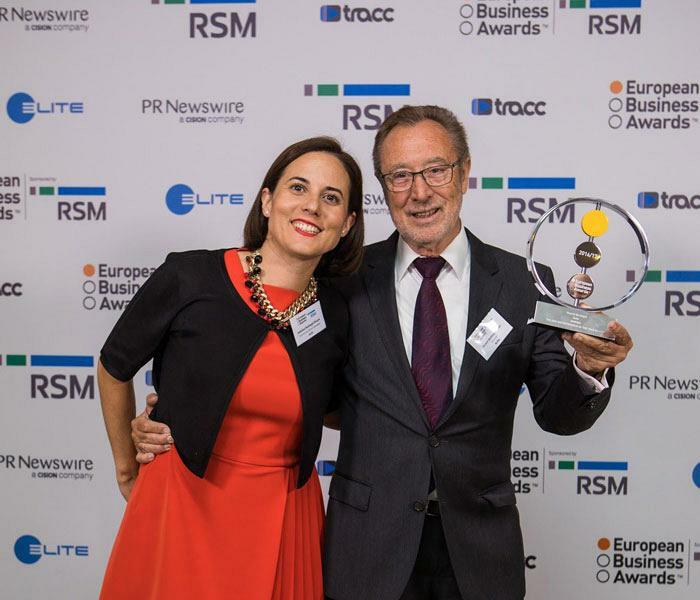 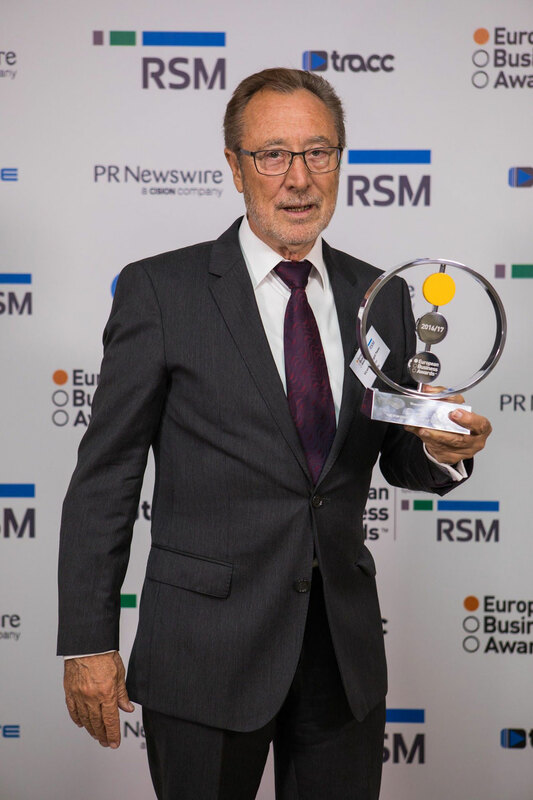 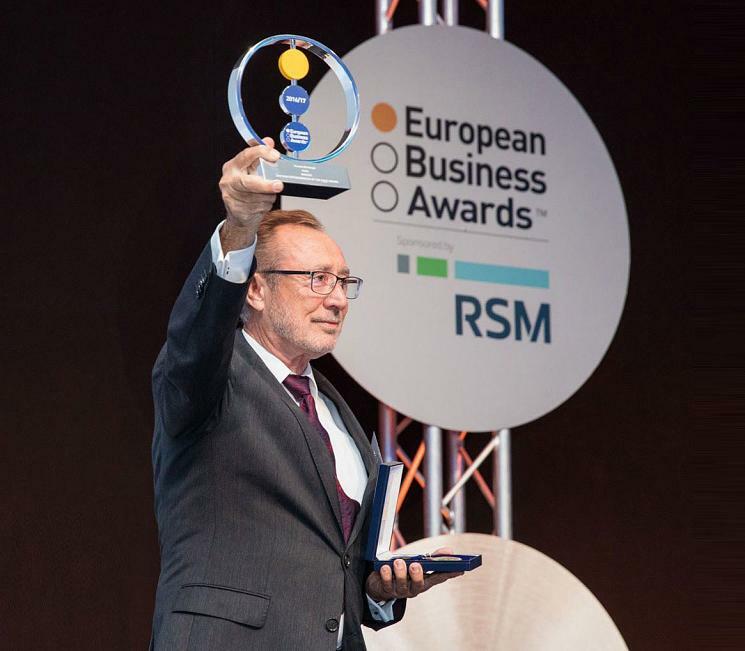 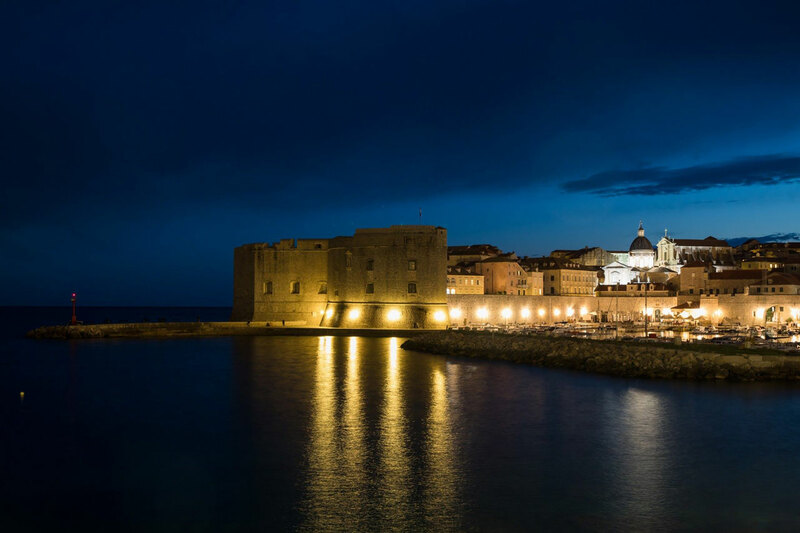 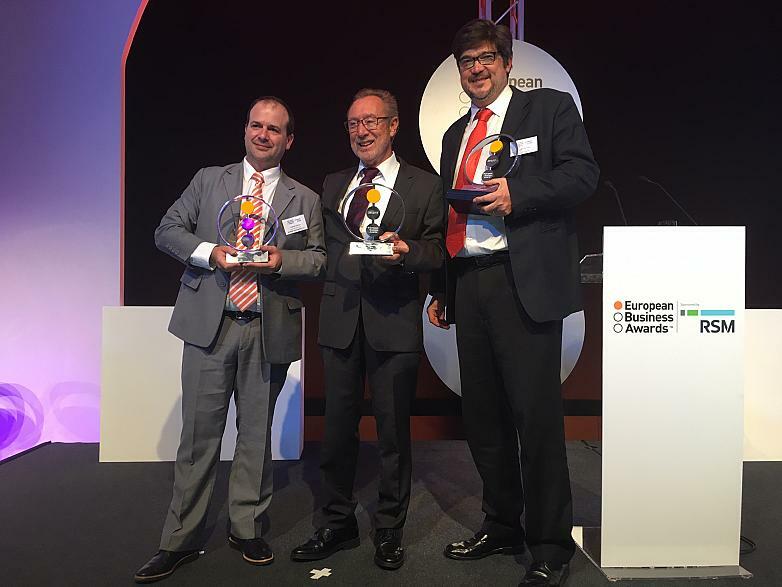 Vicent Berbegal, president and founder of Actiu, has been awarded European Entrepreneur of the Year 2017 at the European Business Awards (EBA) ceremony, during a gala in Dubrovnik (Croatia). The main aim of the awards is to promote commercial excellence and to recognise entrepreneurial innovation. 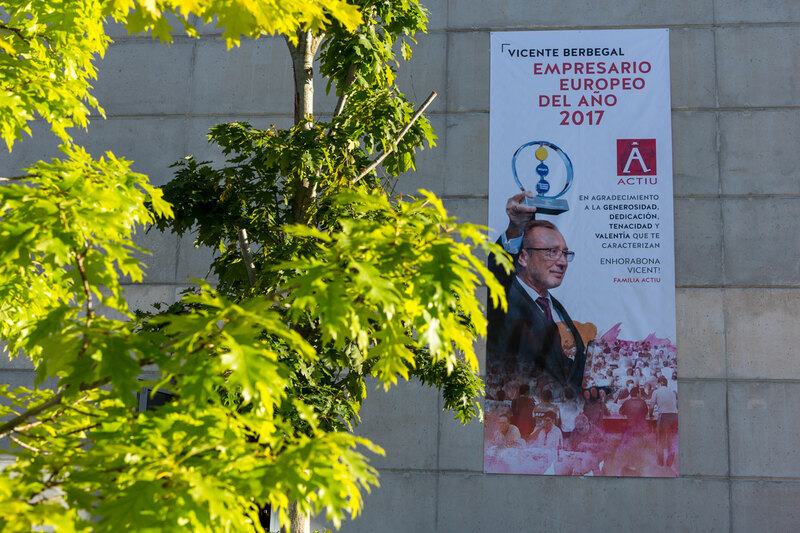 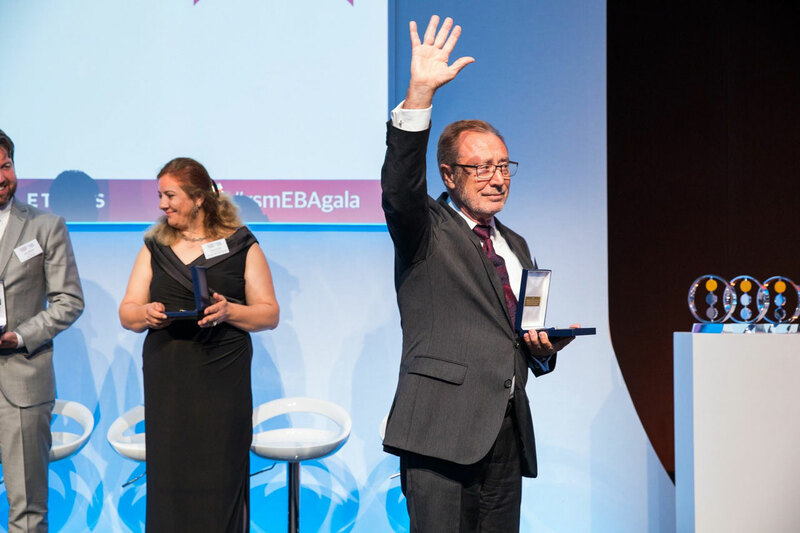 Berbegal is the first entrepreneur from Spain in the history of the awards to achieve this recognition. 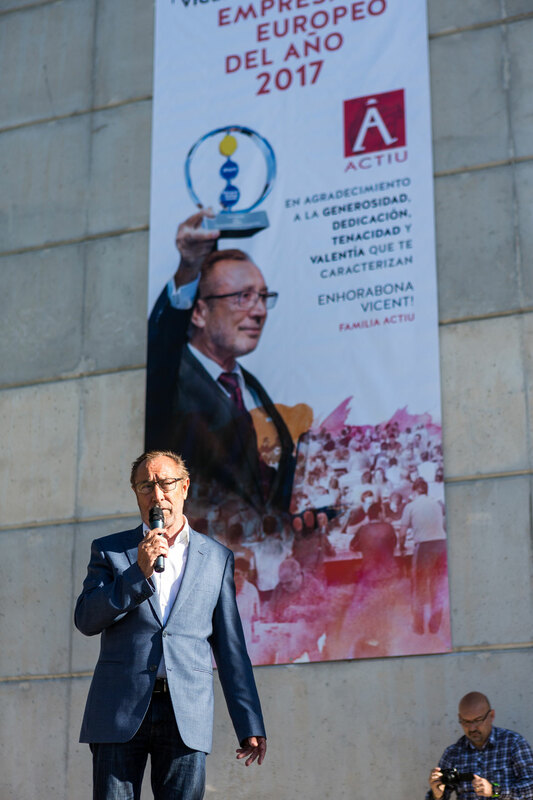 The jury, made up of leading international figures in business and international policy, especially valued Vicente Berbegal’s abilities to identify and harness new opportunities to expand business and achieve profitable growth throughout his professional career lasting almost half a century. 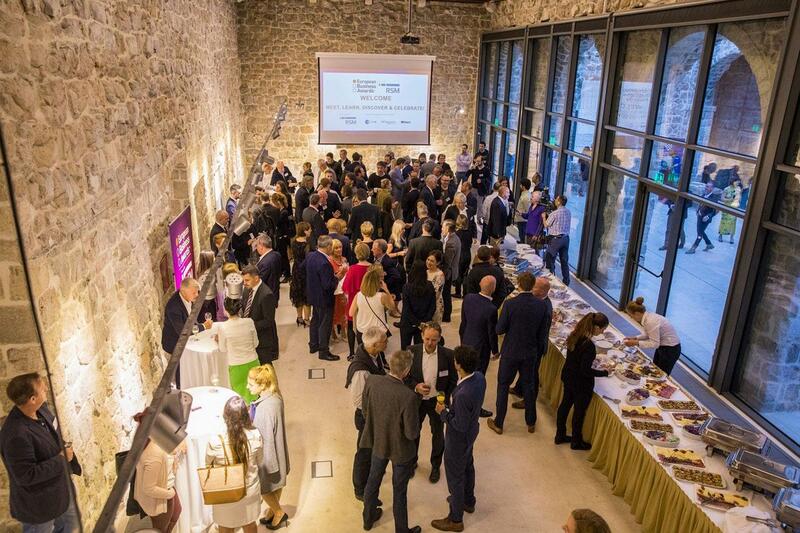 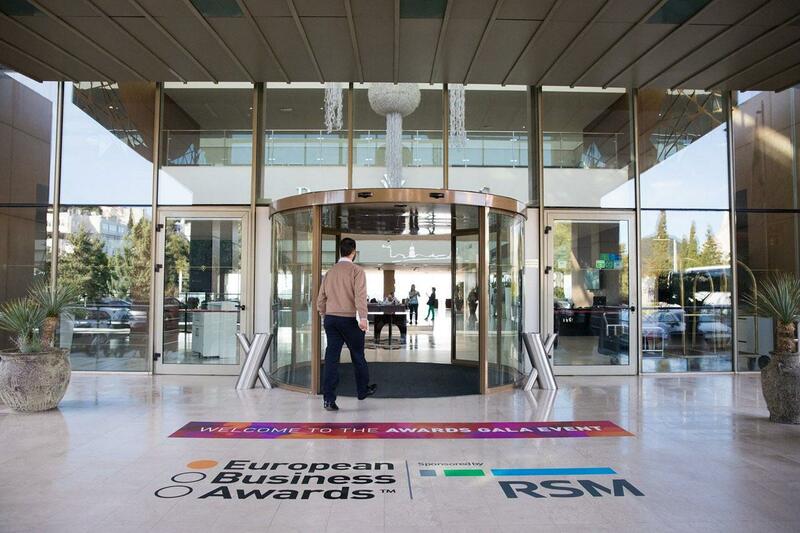 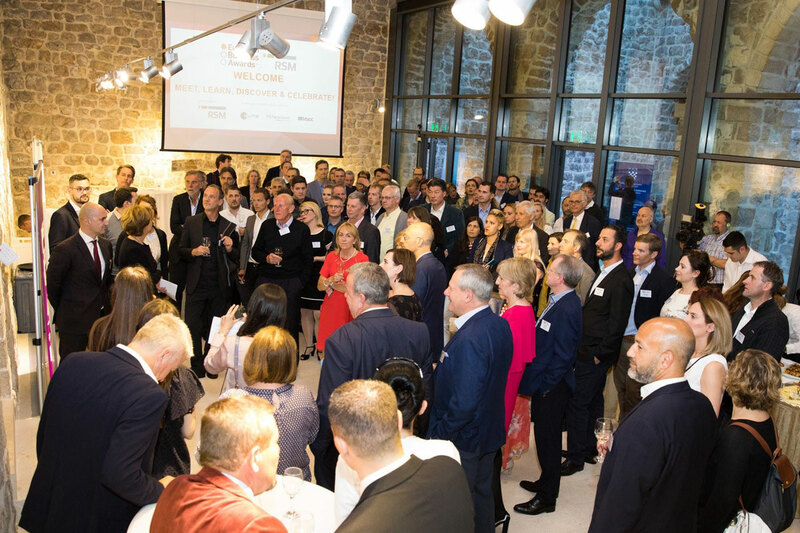 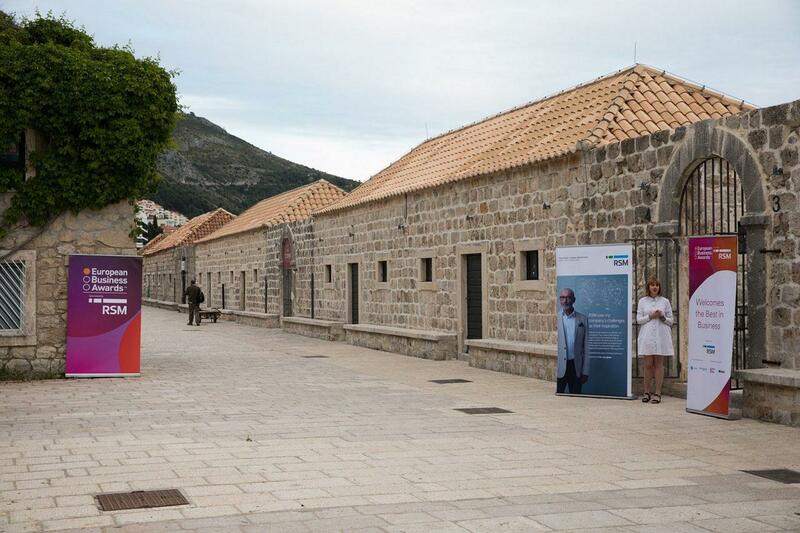 This year, 33,000 businesses from 34 countries in Europe were present. 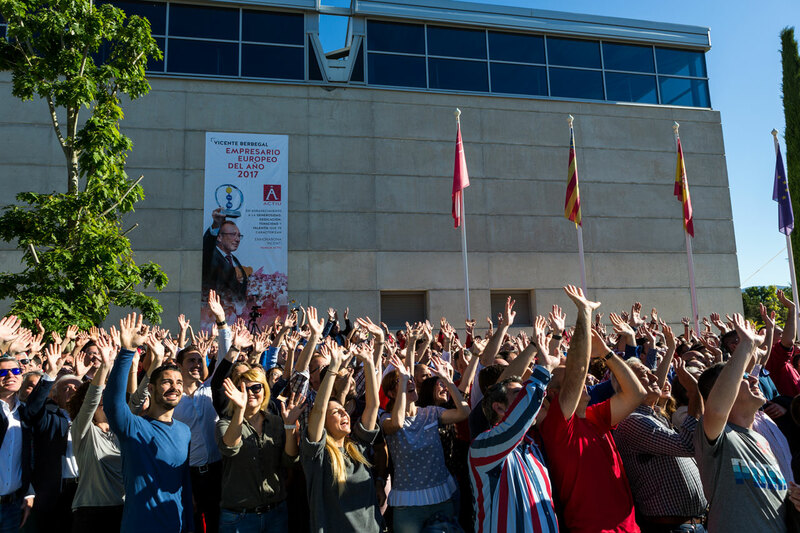 After passing three pre-selection phases, which took place over almost a year, 110 became finalists and 13 were awarded. 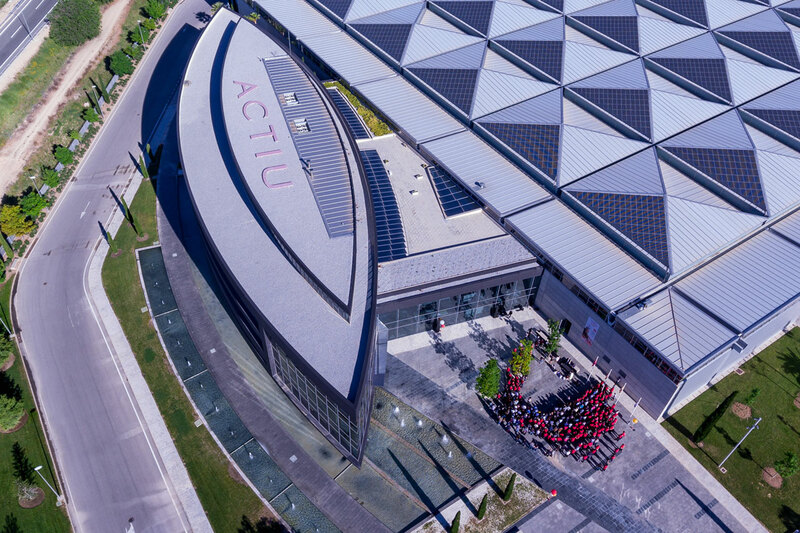 Their commitment to design, has meant that Actiu has remained at the international forefront; their constant reinvestment in technology, leading other firms in the sector; and a sustainable growth and respect for the environment, are some of the key factors for the company’s success in business. 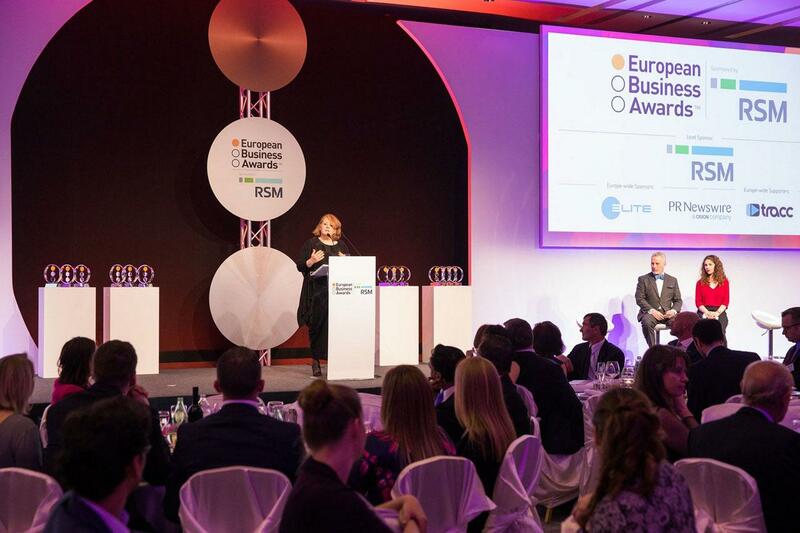 “These businesses are the best in Europe. 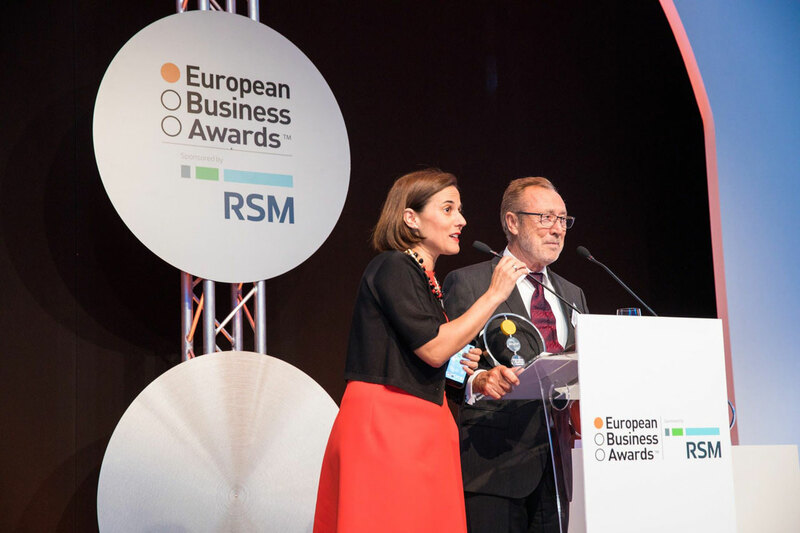 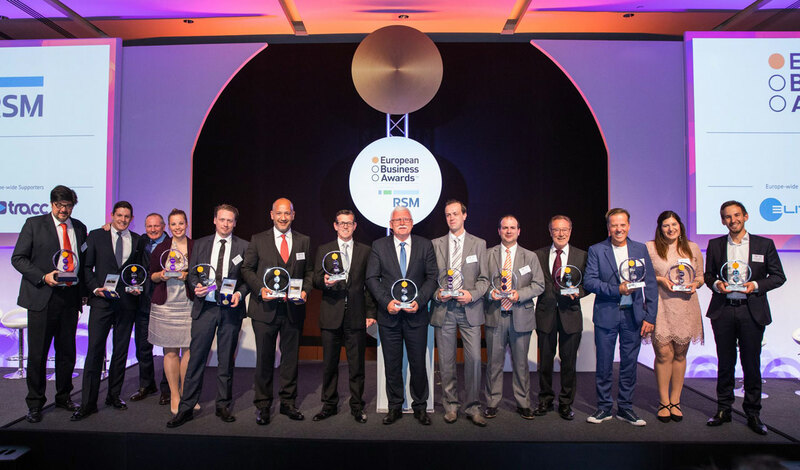 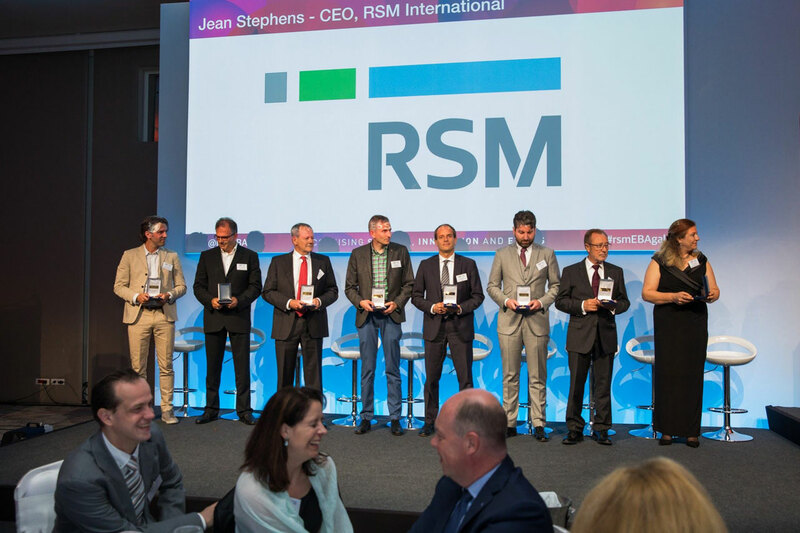 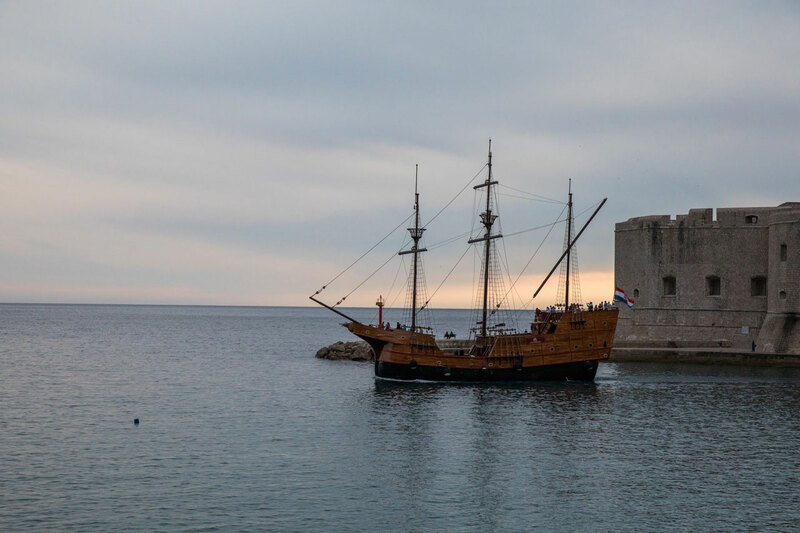 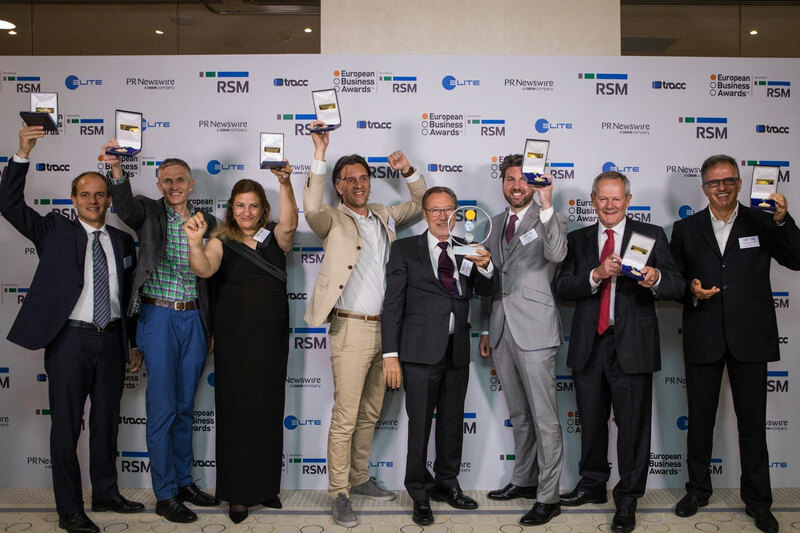 They have shown innovation, integrity and financial success and are shining examples of the potential growth of European companies within a competitive global market. 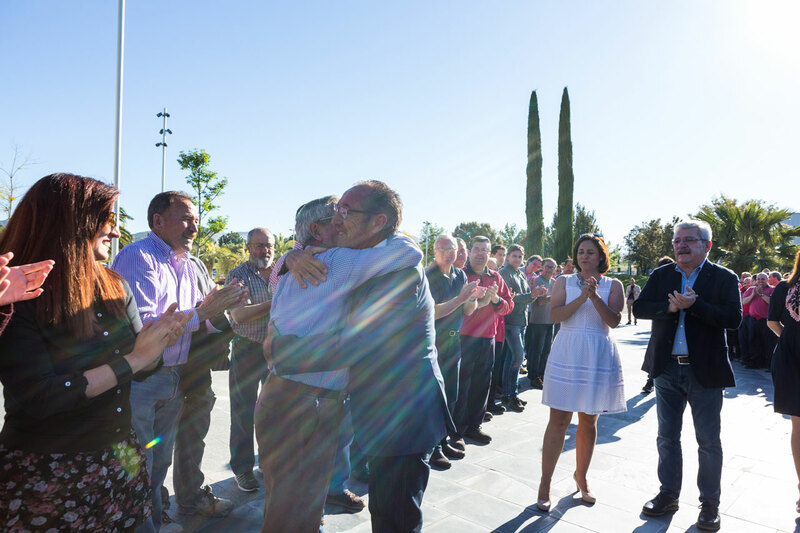 Together they are creating a better future for us all”. 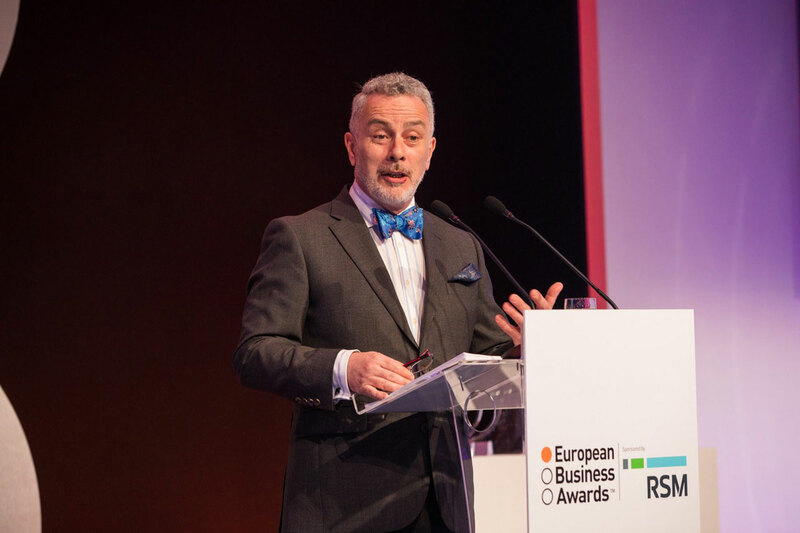 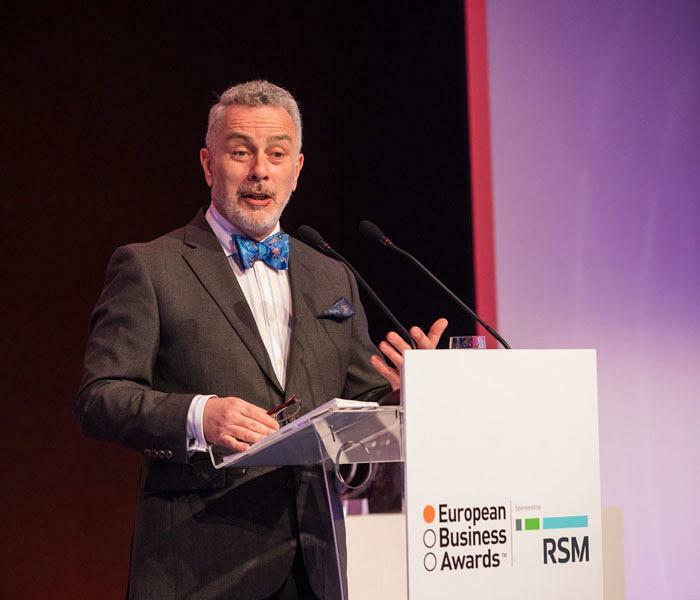 Adrian Tripp, CEO of the European Business Awards. 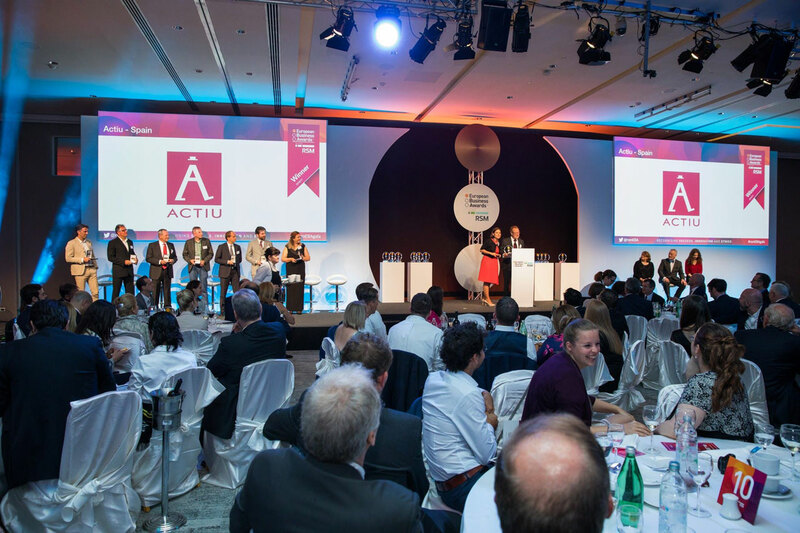 Vicent Berbegal stated that “this award would not have been possible without the whole team that works every day at Actiu. 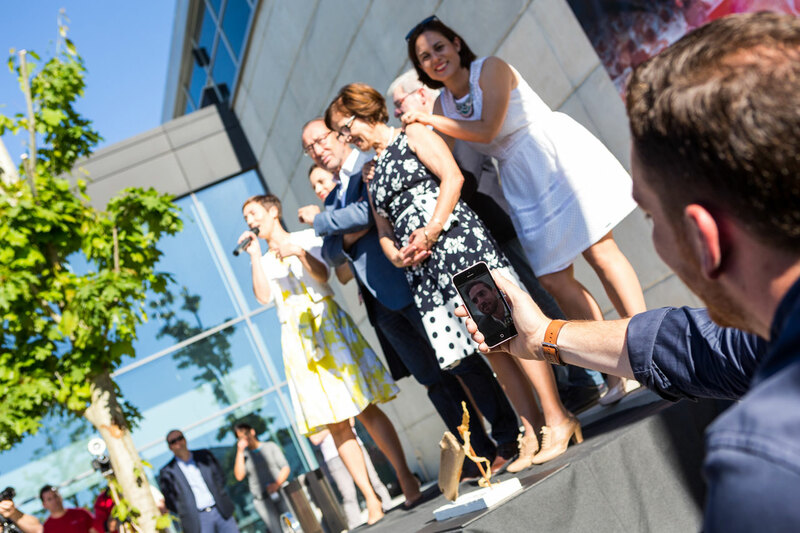 Without their commitment, support, talent and enthusiasm this recognition would not have happened. 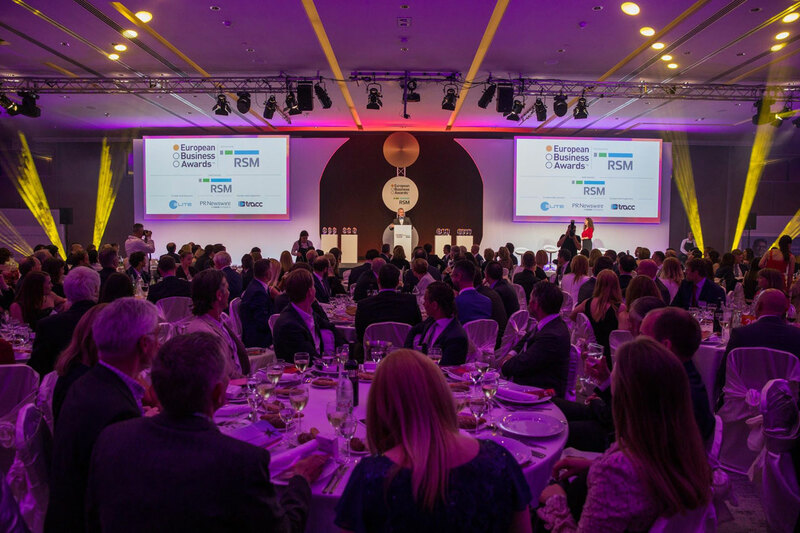 It is undoubtedly a very difficult award to obtain as you are competing with all types of businesses from 34 countries. 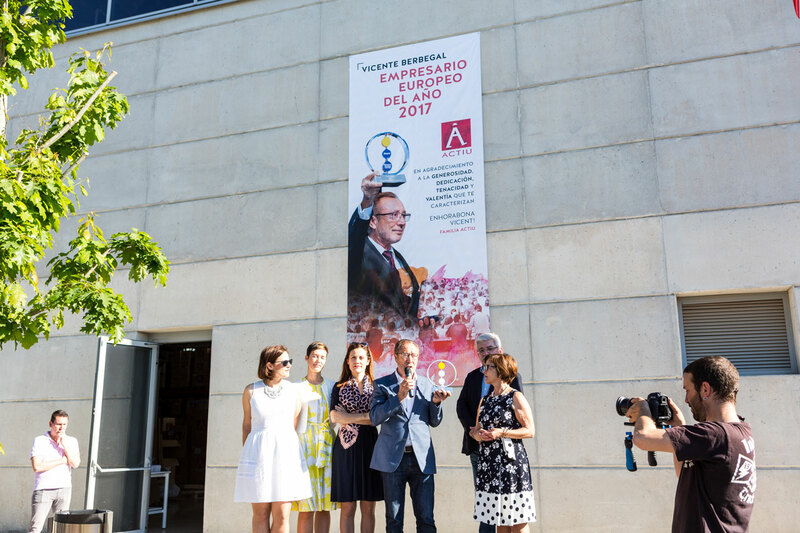 For us there is an extra plus in promoting and spreading the Spain brand and a recognition of the effort and work of our country that is being shown to Europe”. 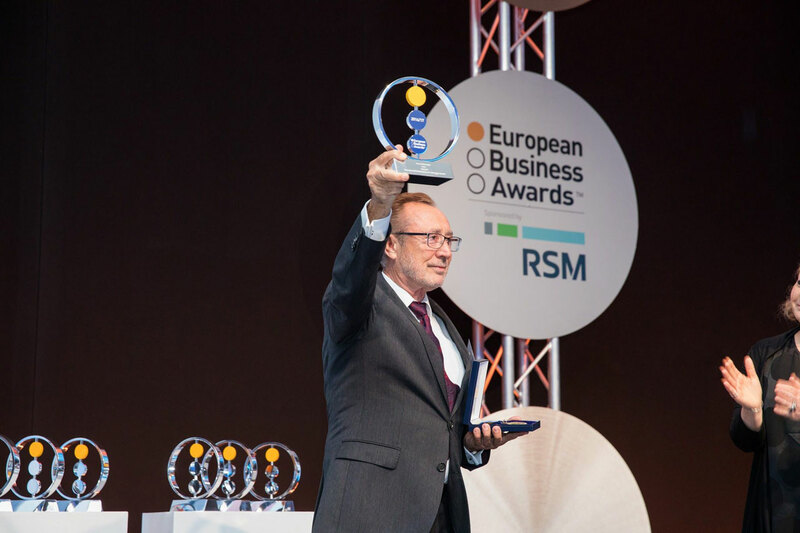 This important award helps to strategically position the image of the Spain brand and the industrial strength of Spain as a leader in the European and global brand, as amongst those awarded there were also two other Spanish companies, Leroy Merlín Spain, who achieved the award for Customer Focus and the Galician company Marine Instruments, who received the award for Growth Strategy of the Year. 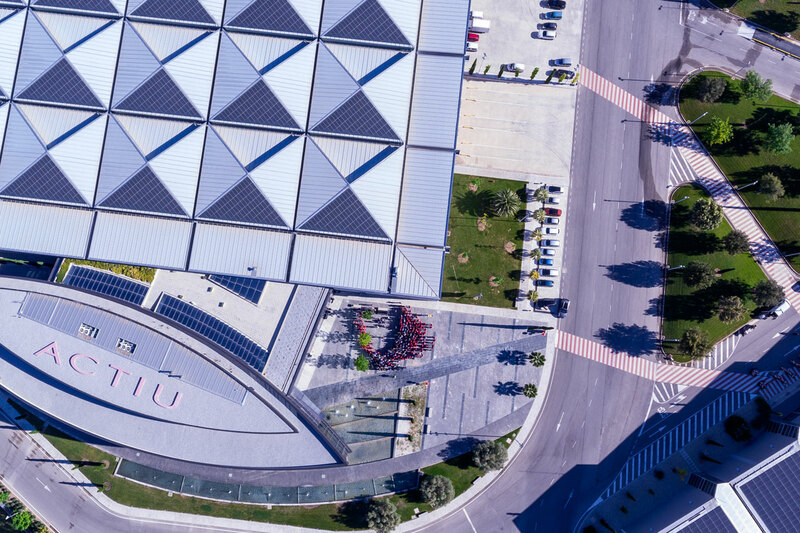 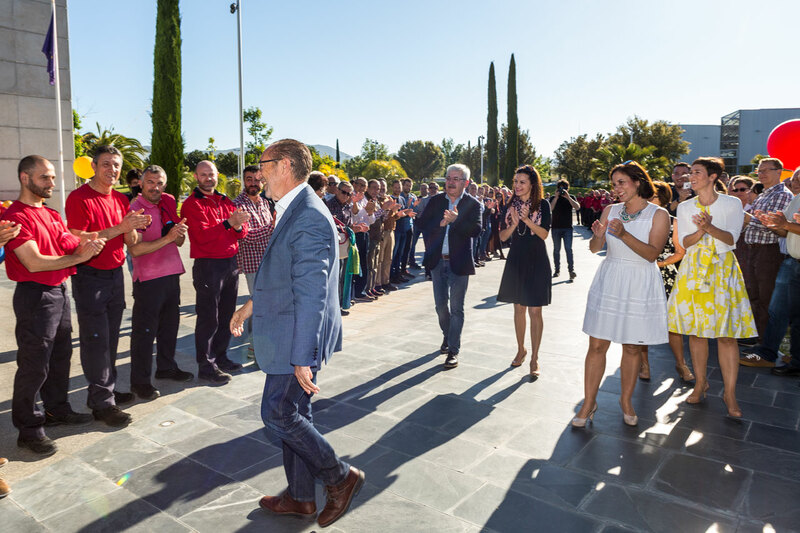 At the same time it supports the model to carry out business in the home region la Foia de Castalla, within the Valencian business framework, made up of people with a strong entrepreneurial spirit and a desire to go further. 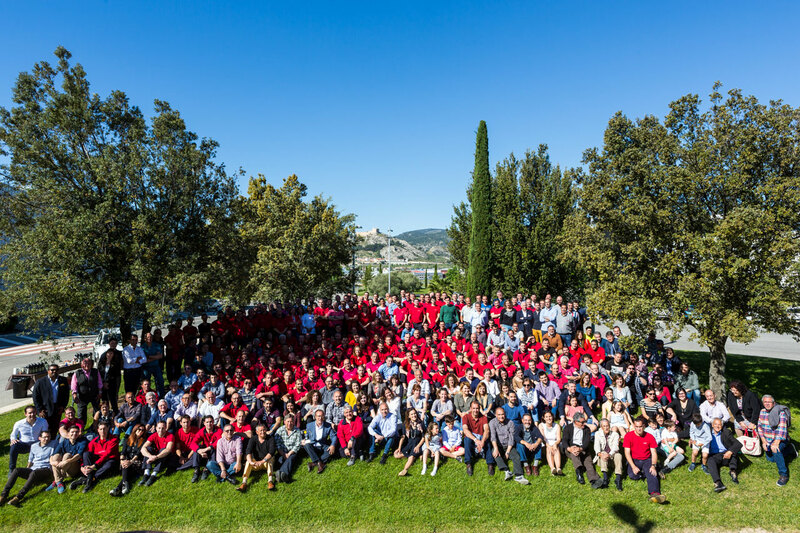 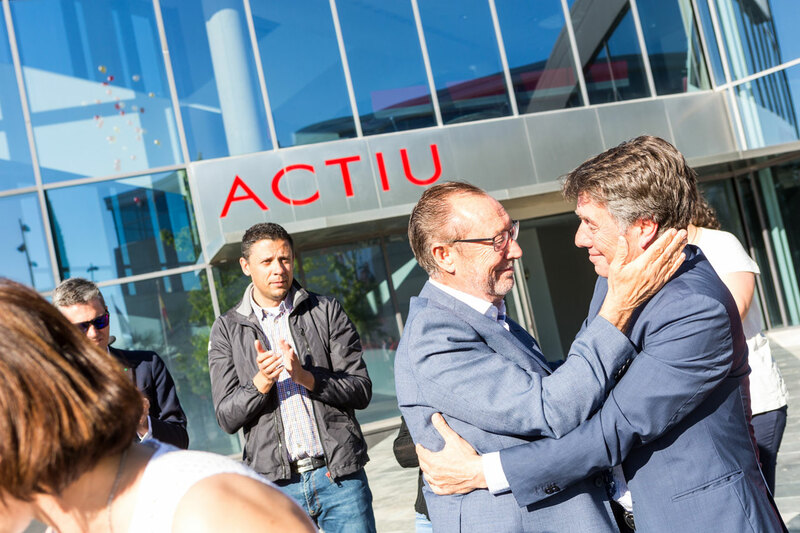 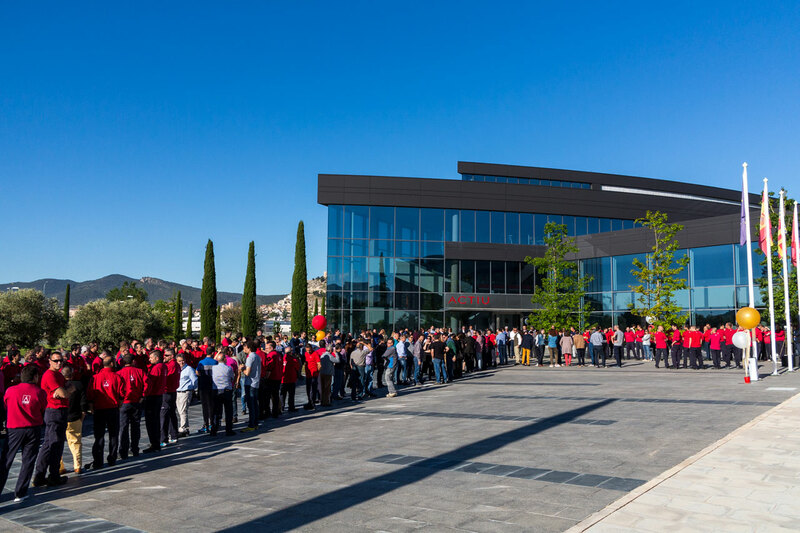 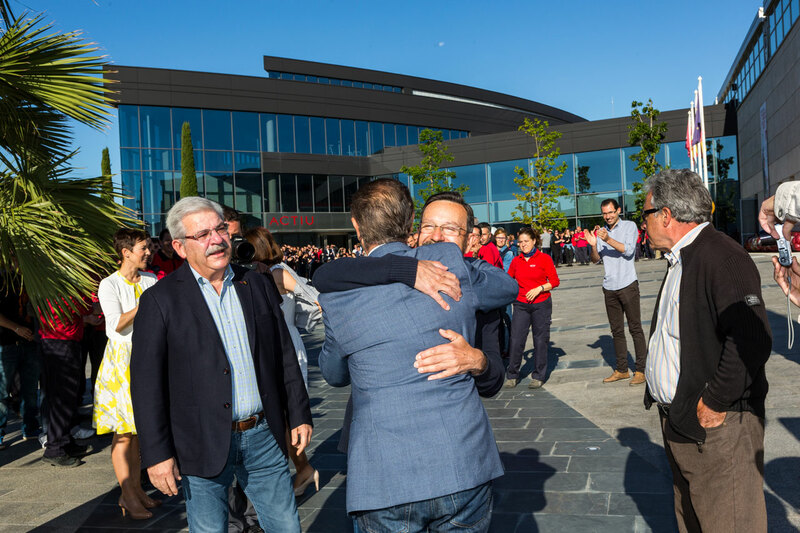 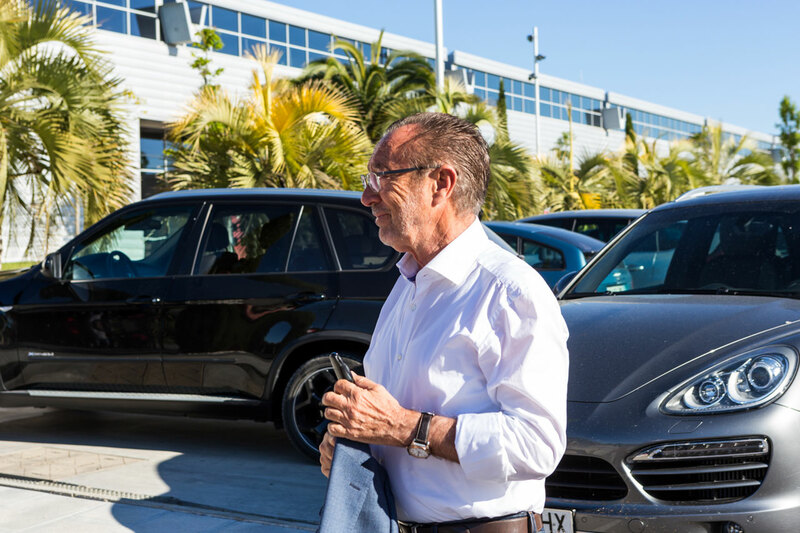 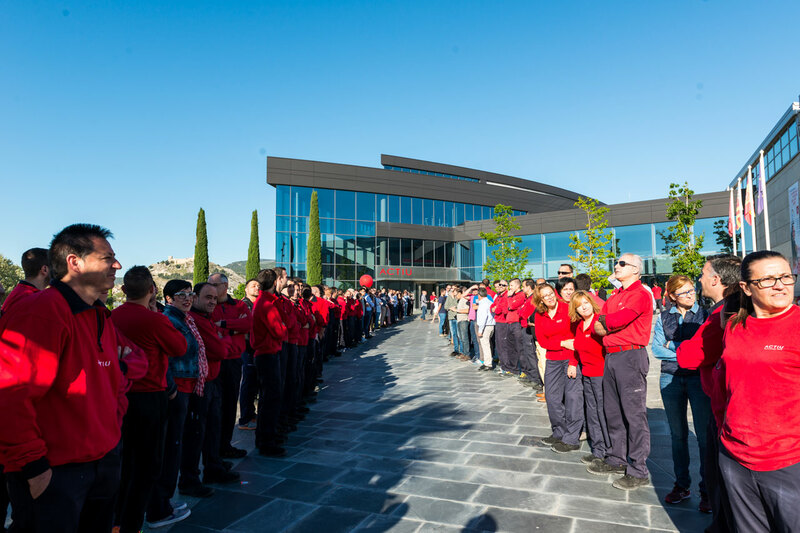 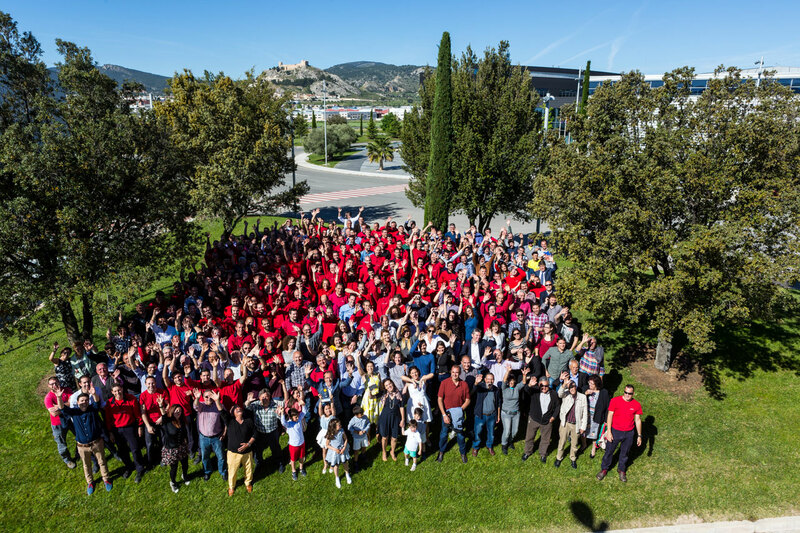 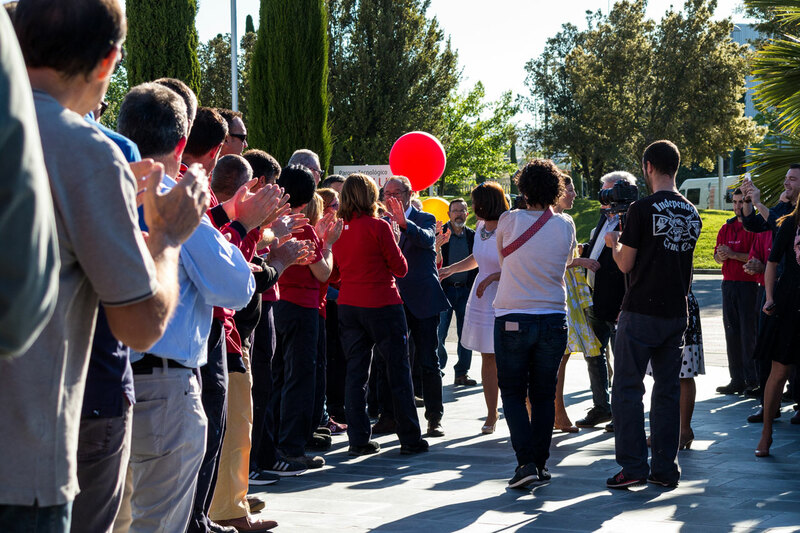 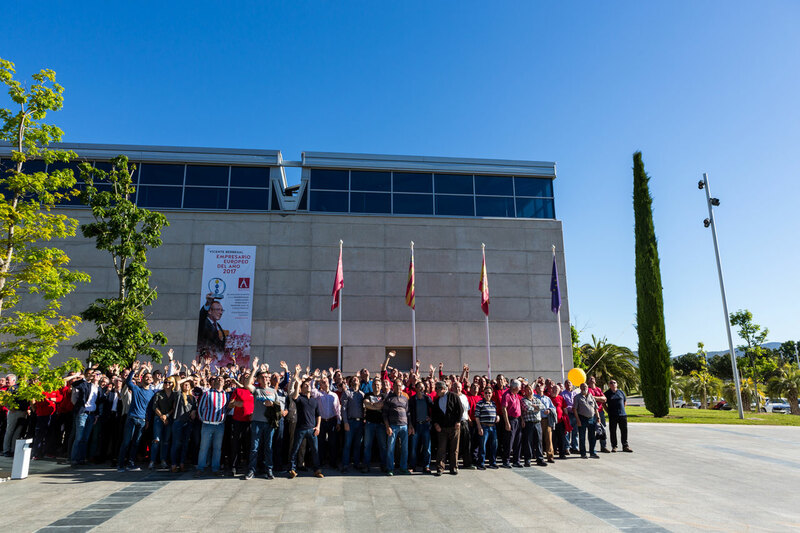 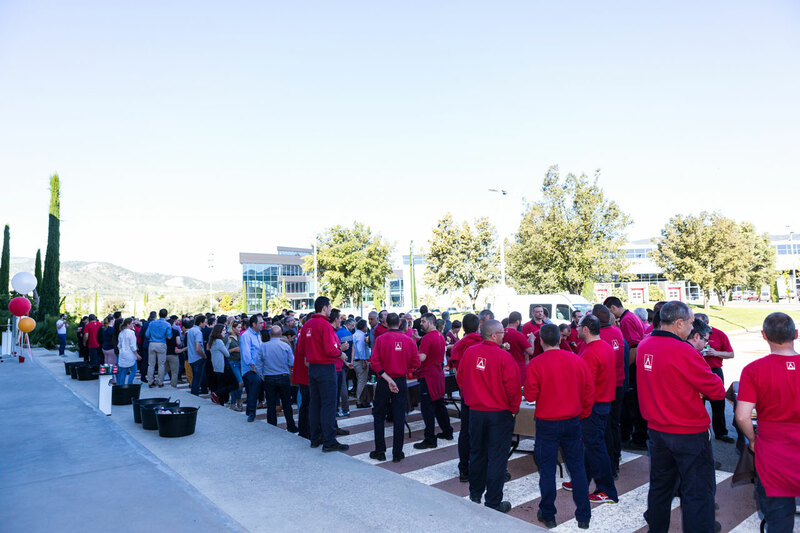 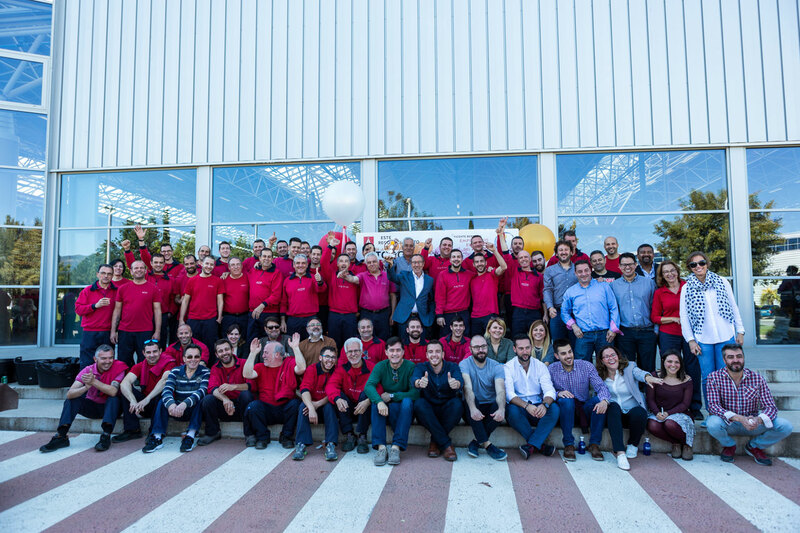 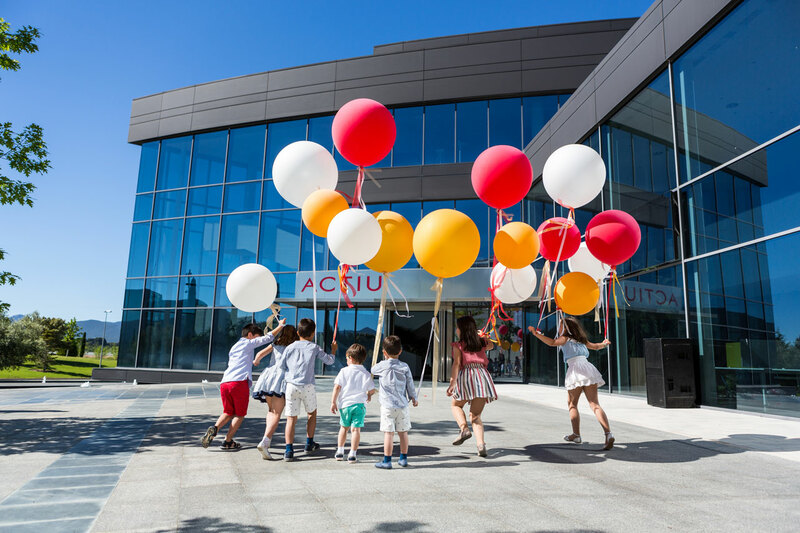 The 285 workers at Actiu, as well as partners and former employees were invited to the Technology Park, early on Monday morning (the award gala took place on Thursday evening in Croatia), to welcome Vicente Berbegal. 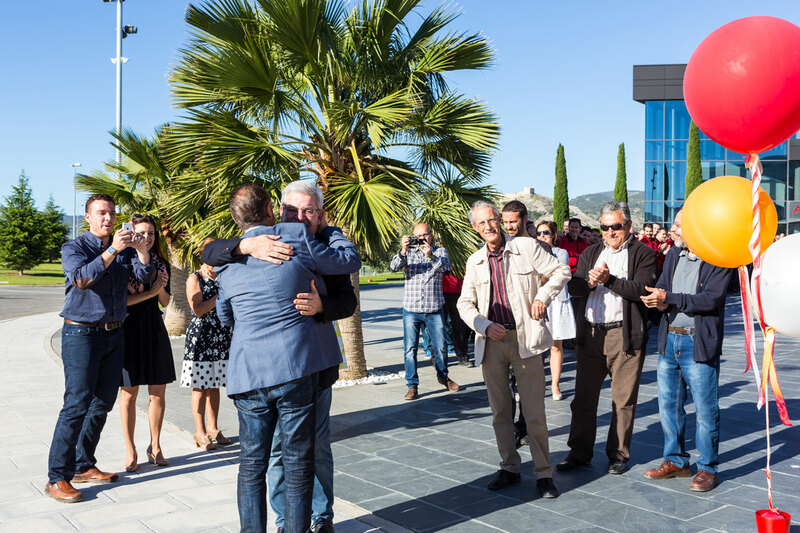 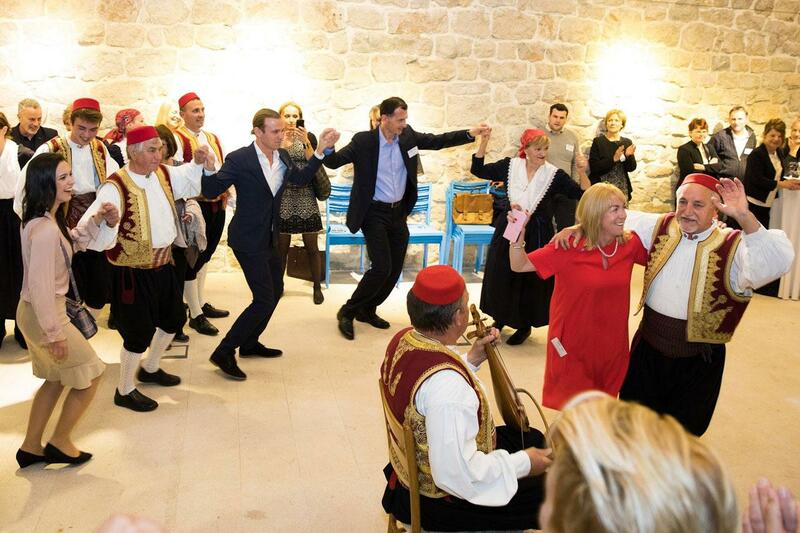 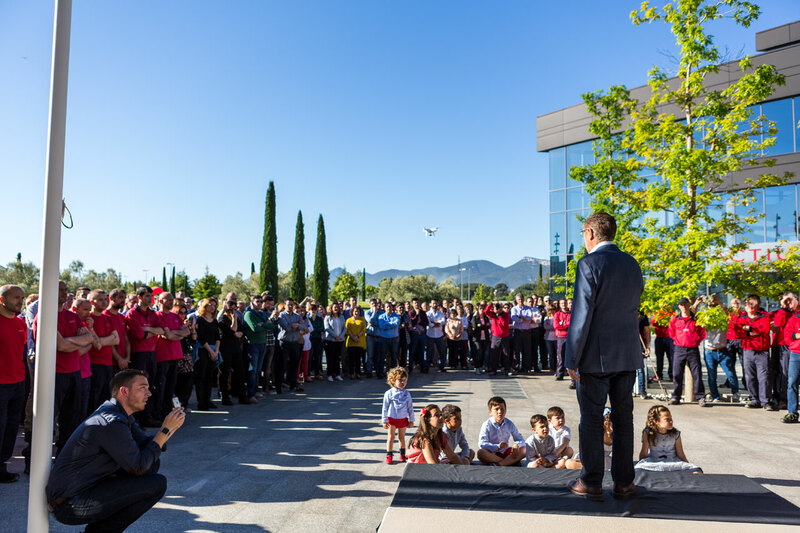 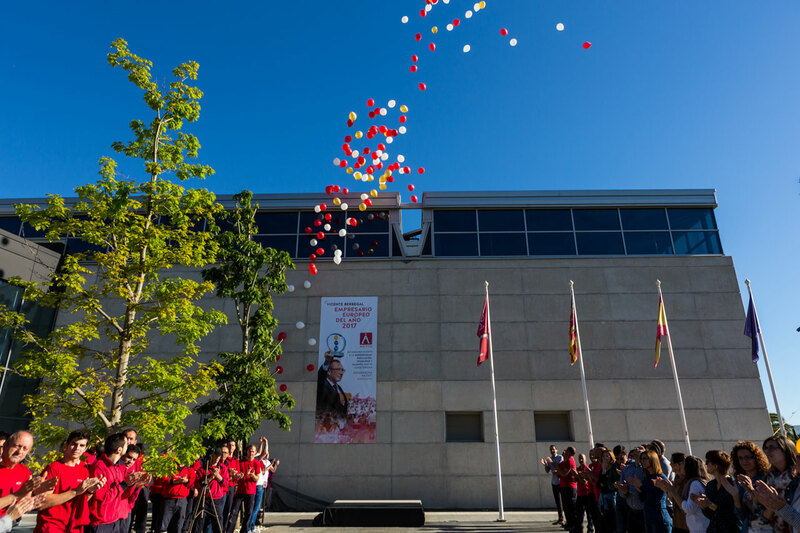 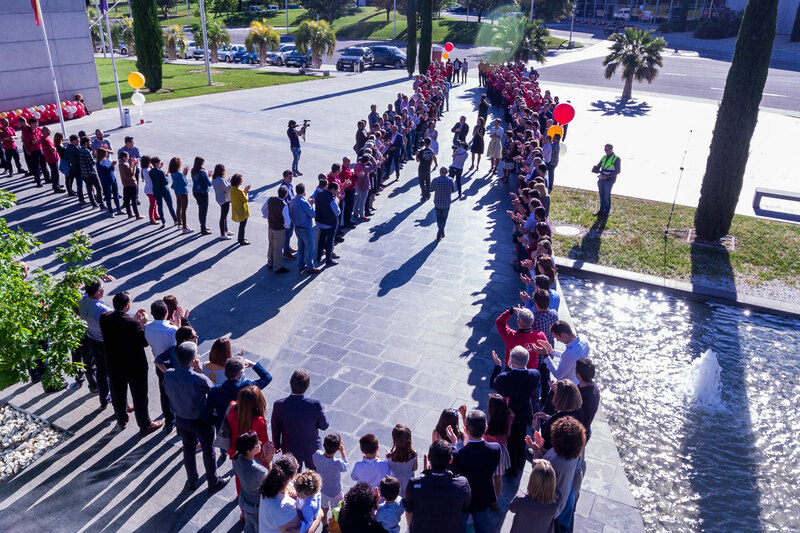 The founder of the business group Actiu arrived to the company thinking that he had to attend a meeting but to his complete and great surprise he saw the tribute that his employees and his family had planned. 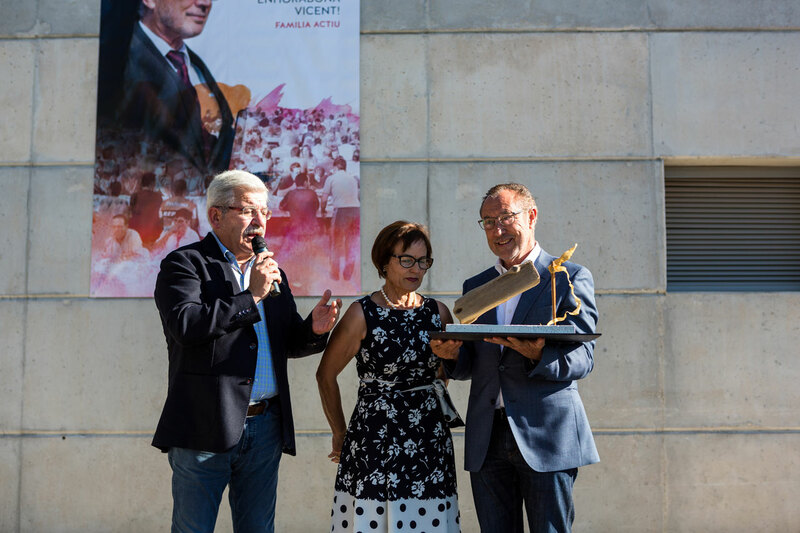 Soledat Berbegal, Brand Strategy Director and spokesperson for Actiu, explained that “out of all the categories this is the most special for us, as it is an award for a person who is committed to people, who leads them, motivates them, encourages them and who is concerned for their well-being and for that of society as a whole. 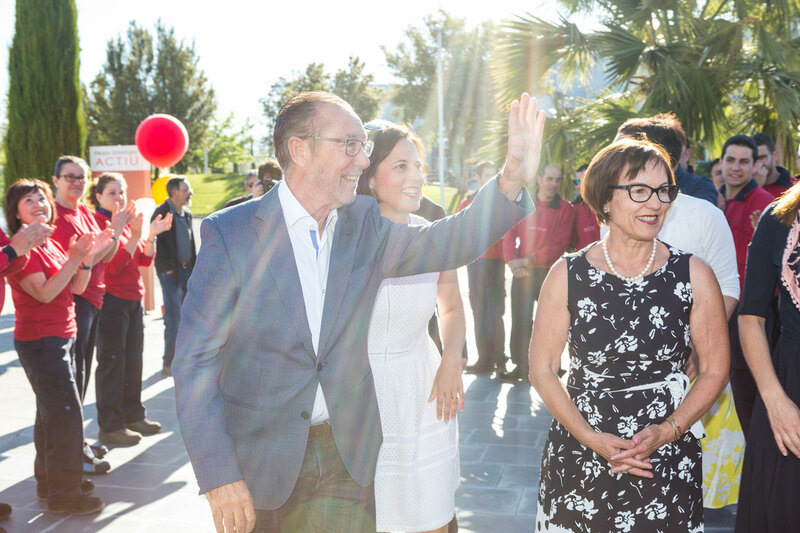 It is a commitment to industry, experience, quality of life, infrastructure and values such as the commitment to the environment, sustainability and innovation”. 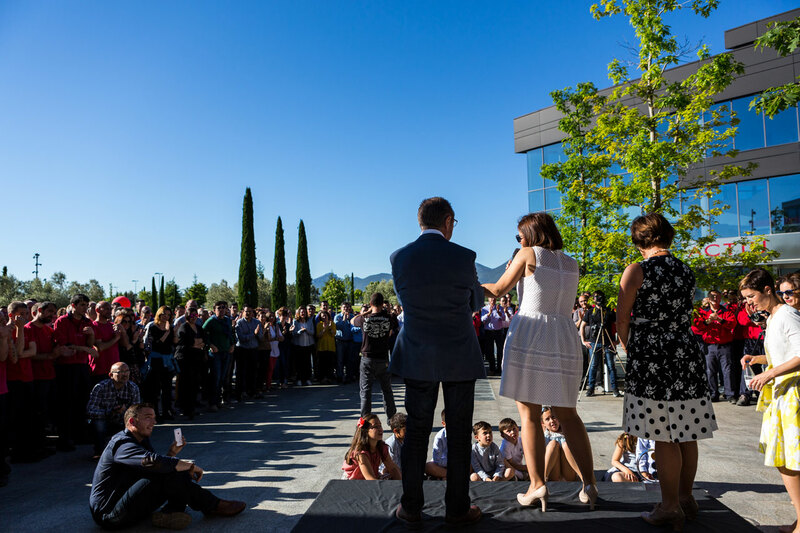 Vicent Berbegal, visibly moved and accompanied by his family, reiterated that “this award is a recognition of the strength and perseverance of each and every one of the people who work every day to make Actiu a successful and leading company in the sector. 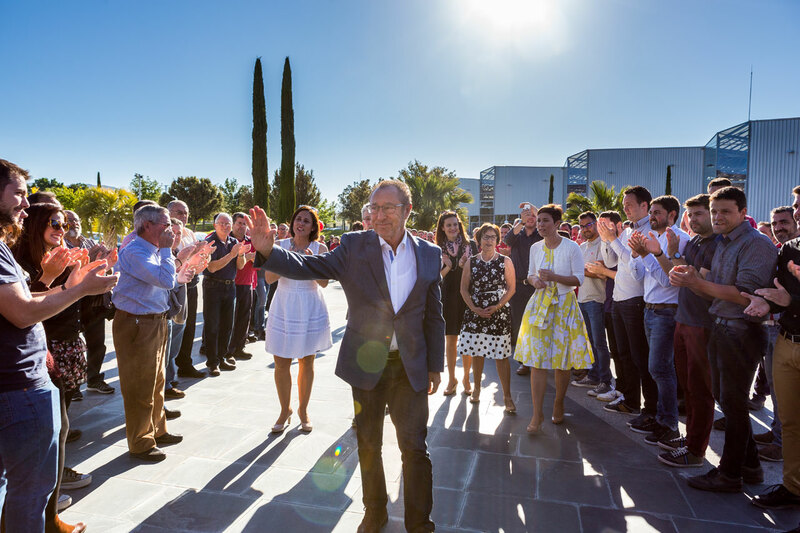 We have to be very proud and motivated to know that Europe recognises a company such as ours, located in a region such as la Foia de Castalla and not London or Paris. 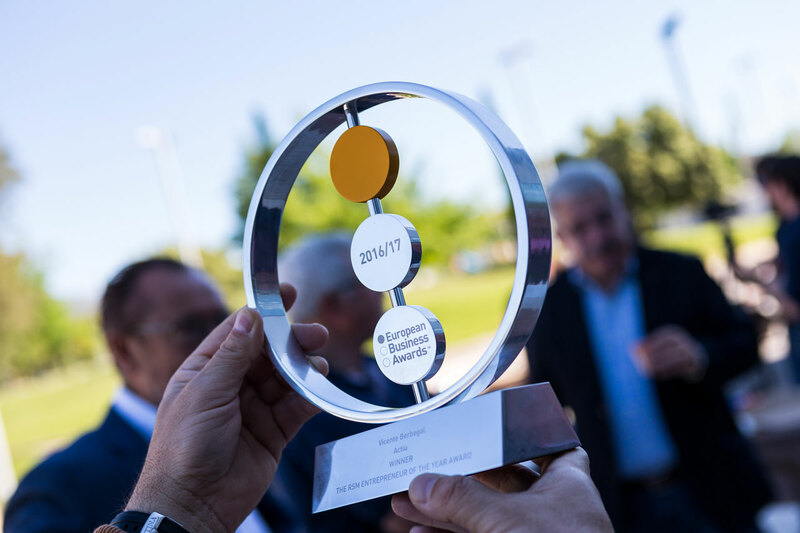 At the same time, there is a big responsibility as now we have to show that we really deserve this award. 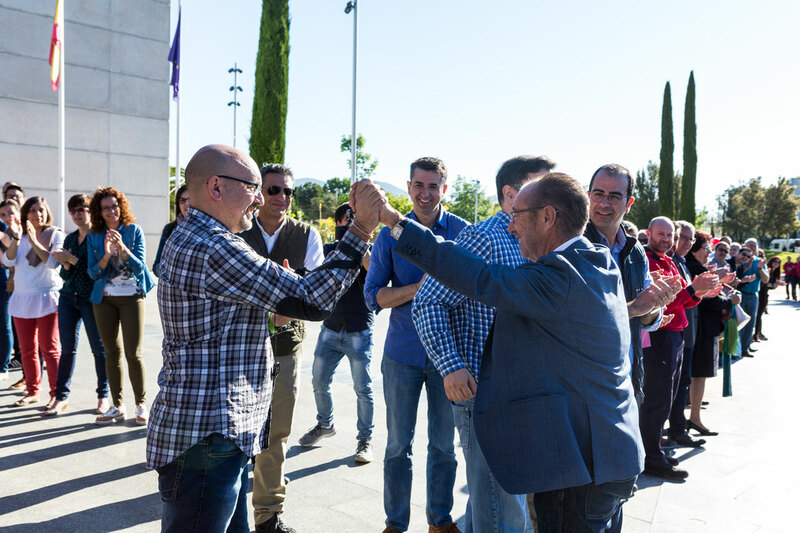 It is a great opportunity to lead the promotion and position of our region on an international level”. 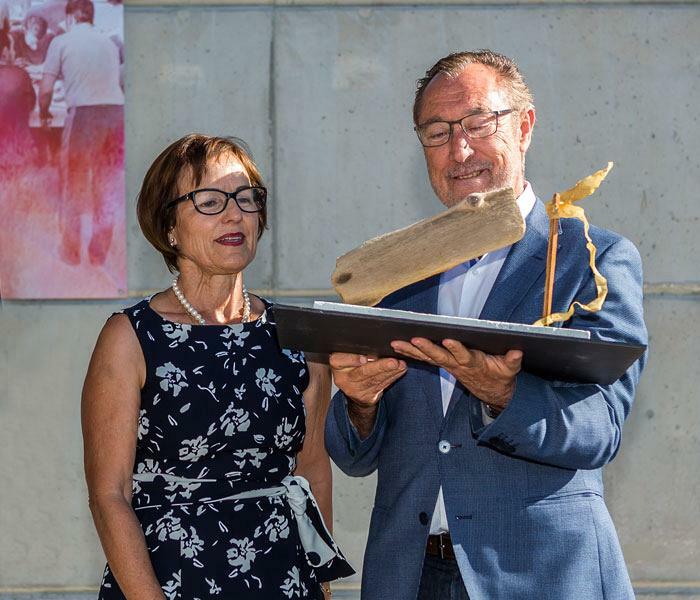 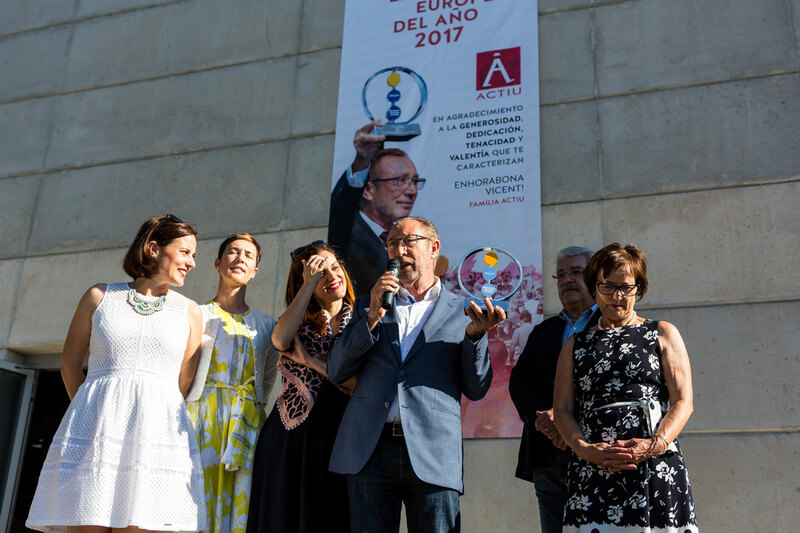 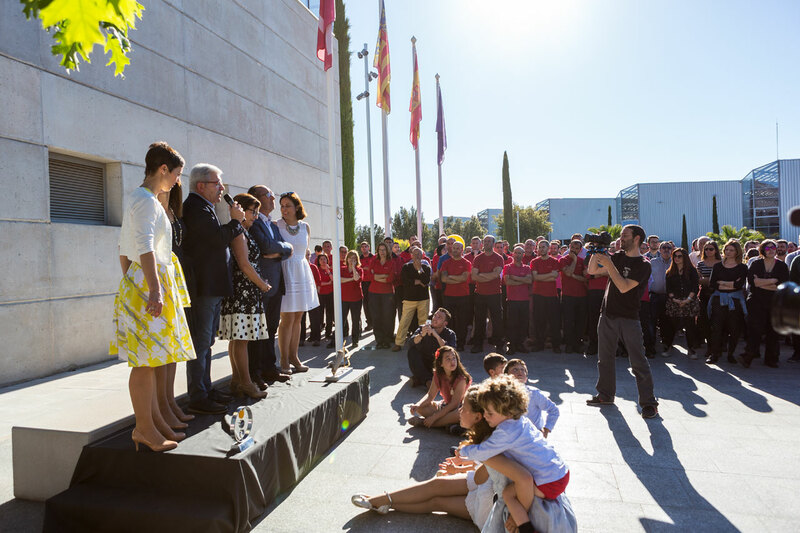 During the tribute Vicent Berbegal was presented with a sculpture from Valencian designer Pepe Gimeno entitled “Ingenuity against strength”, a name that, without a doubt, symbolises the essence of this entrepreneur.